2007 Domaine de la Pinte 'Vin Jaune' Savagnin 620ml. Arbois-Jura-FRANCE. 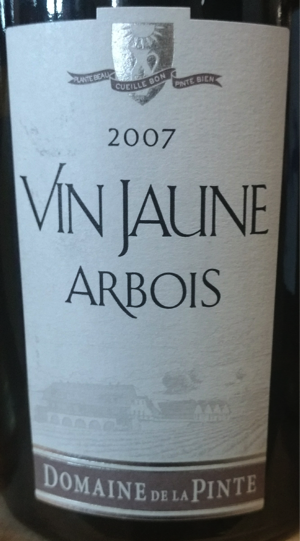 This is the style of wine that the Jura is most famous for. It is known as 'sous-voile', or under cloak. It refers to the technique of letting the wine age under a gap of air in the cask, allowing oxidation to occur. The high acidity of the grape Savagnin allows the wine to maintain some balance whilst taking on an almost sherry-like character. The traditional match to this wine is aged Comte. A must-try.